Lines from the Art Room: We're Baaaaacccckkkk! 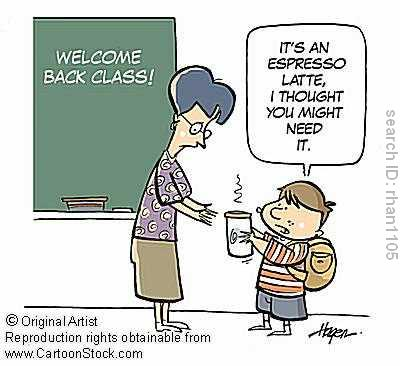 Well, today was the teachers' first day back and it went great. I have to say that the latte did help! I hope everyone is getting ready for early bedtimes and early mornings!